Pristine Maggie Sottoro Couture wedding dress- Only worn for a few hours. It was a beautiful wedding and has been a ridiculously happy marriage, so there's all good vibes! I just don't have room in my closet to keep the dress. I am a street size 14-16, the dress is labeled at 18. 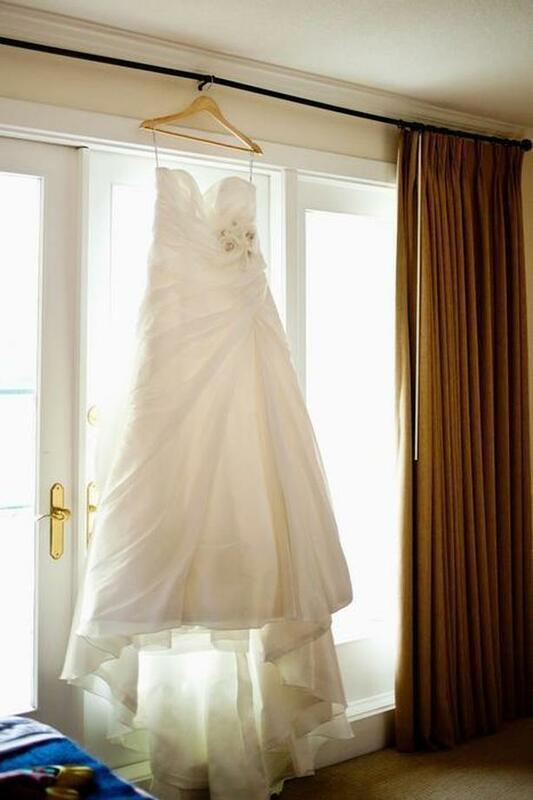 It is strapless with a very flattering sweetheart neckline. It has a built in corset that keeps everything in place. It has a train that can be bustled. It was purchased new at Blush Bridal and comes in the bag from Blush. I have a square reader and can take VISA or Mastercard, if that helps. The dress has been professionally cleaned and is ready to wear. PS: I am 5'7 and the dress brushes the floor on me.